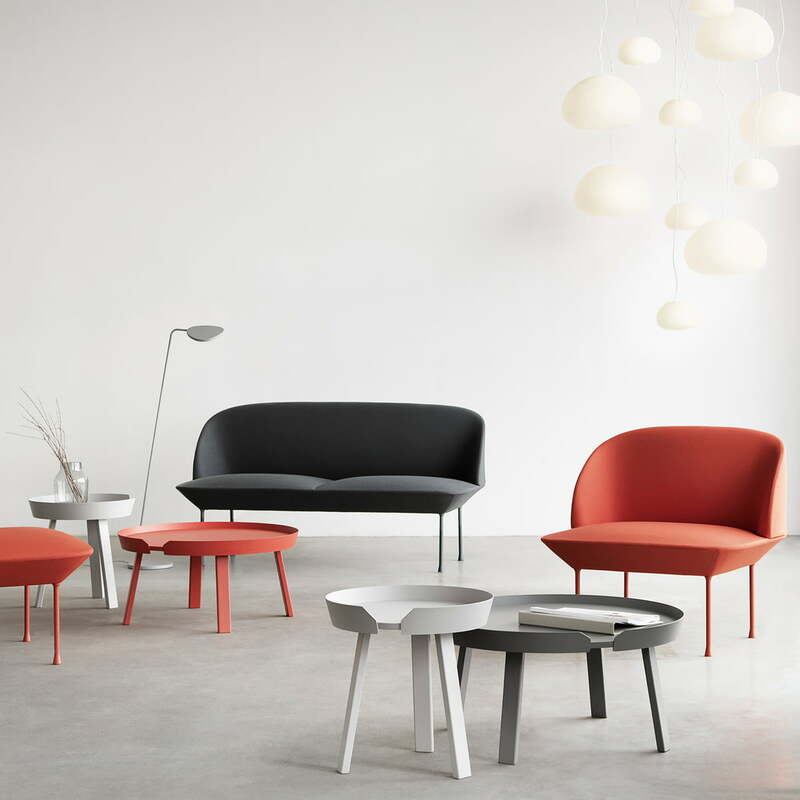 The Muuto Around couch table by Thomas Bentzen impresses with its modern and unique identity, but is still – not least because of its material and sophisticated production – a traditional Scandinavian design product. 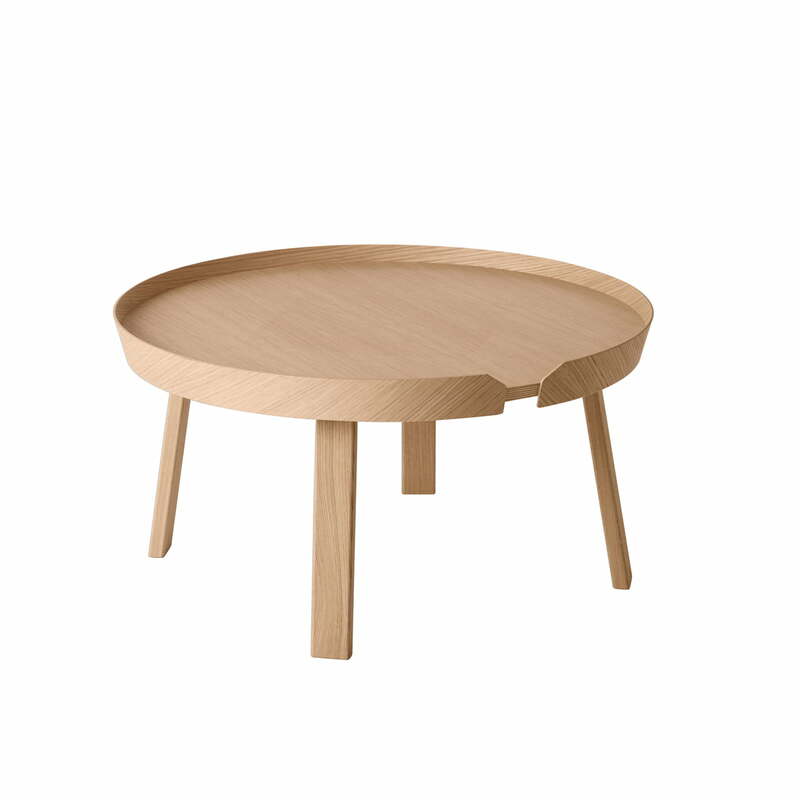 Its round shape and high frame make Around functional and elegant, and simultaneously give the table a warm and welcoming appearance, also being the reason for its name. The remarkable gaps in its frame are useful for its transport as well as to recognise Around as a unique design product. 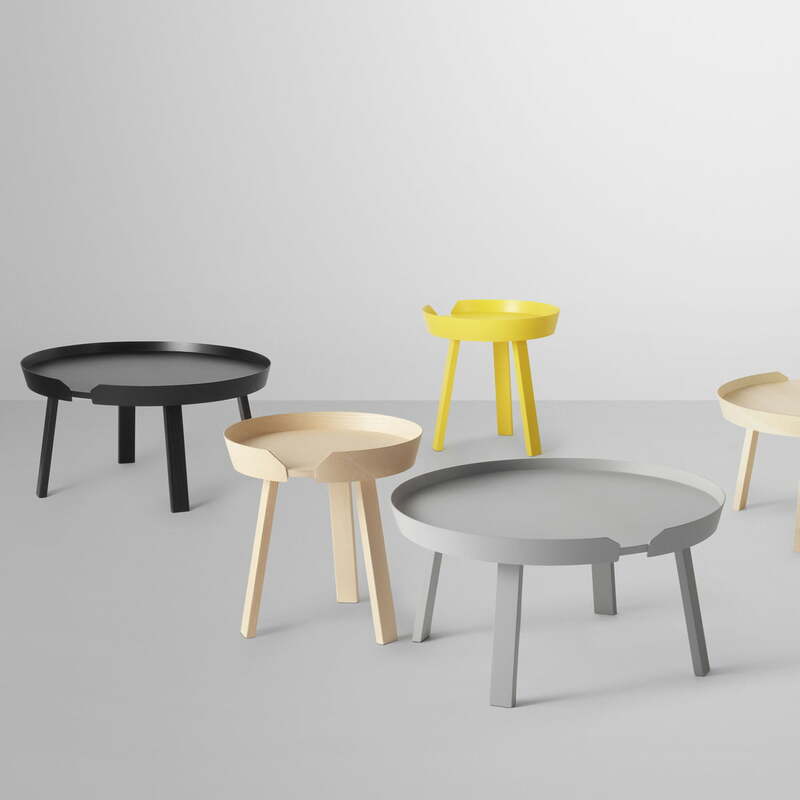 The tables work well on their own or in groups of two, three, or even more. The edges consist of ash-plywood; the tabletop of plywood, and the feet of massive ash wood. The high-quality lacquered surface is robust enough to meet daily demands. 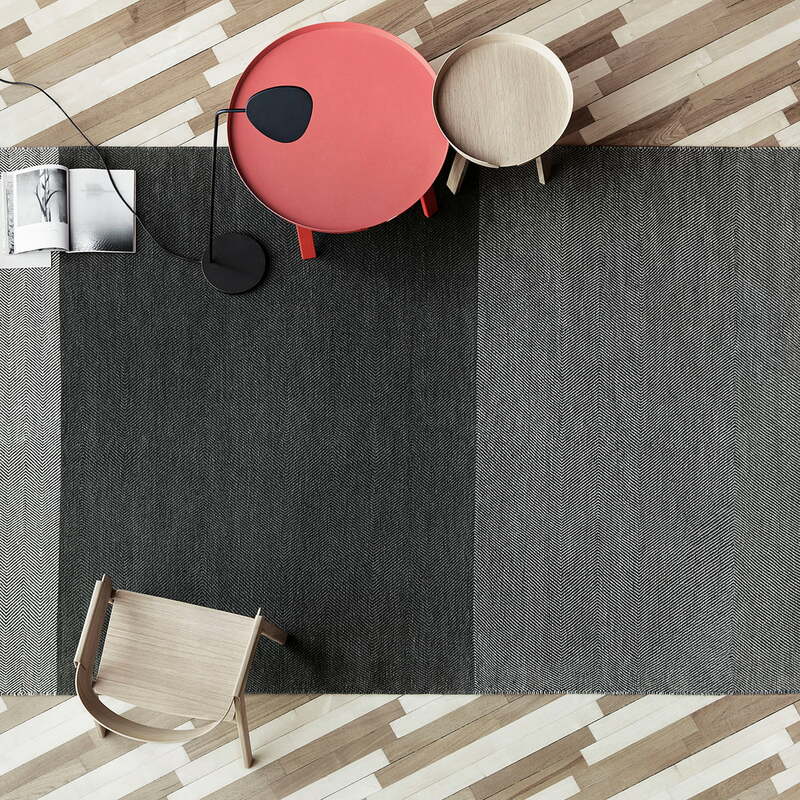 The Around table by Muuto is available in two different sizes (coffee table and couch table) and in different colours as well as in natural oak. 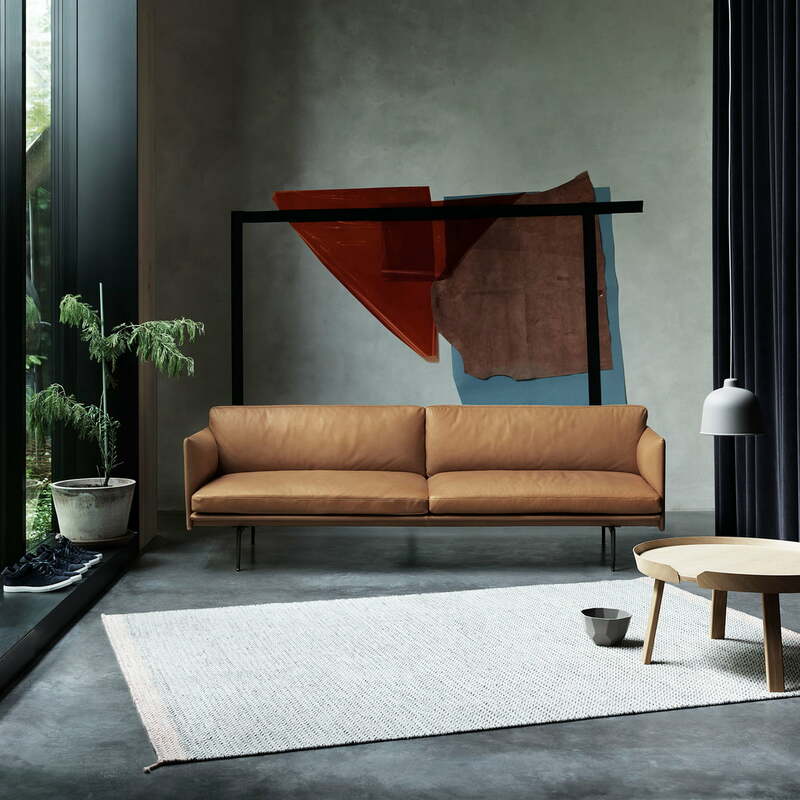 The Outline sofa is a comfortable lounge which invites you to relax and at the same time thanks to its slender appearance, wins you over with a strong architectural presence. 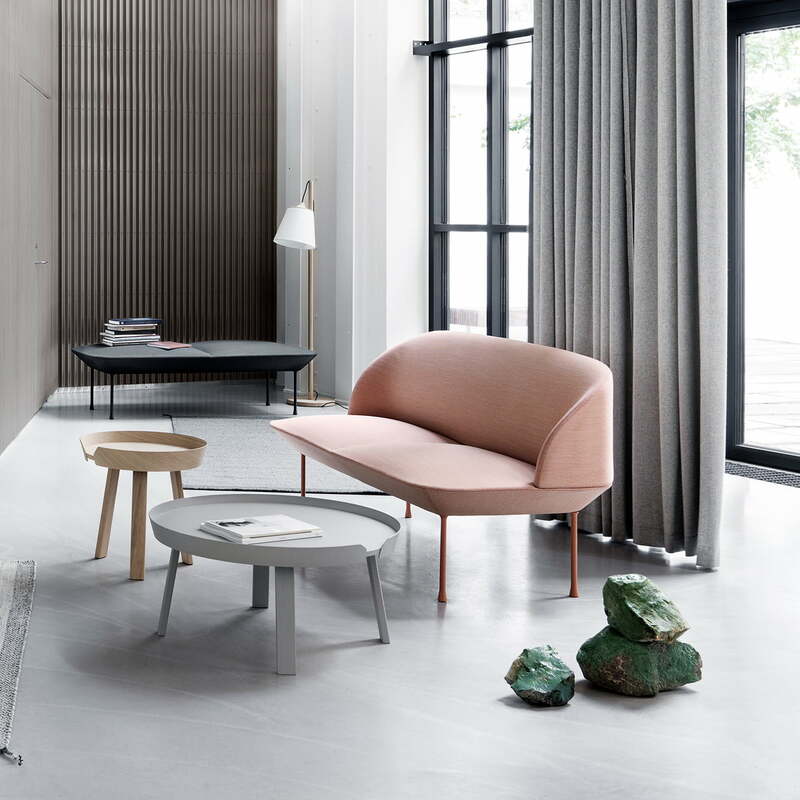 The Oslo sofa in pink in combination with the Around table and the Pull lamp in the ambience image. By using the organic shapes and soft colours it allows to create an inviting interior. 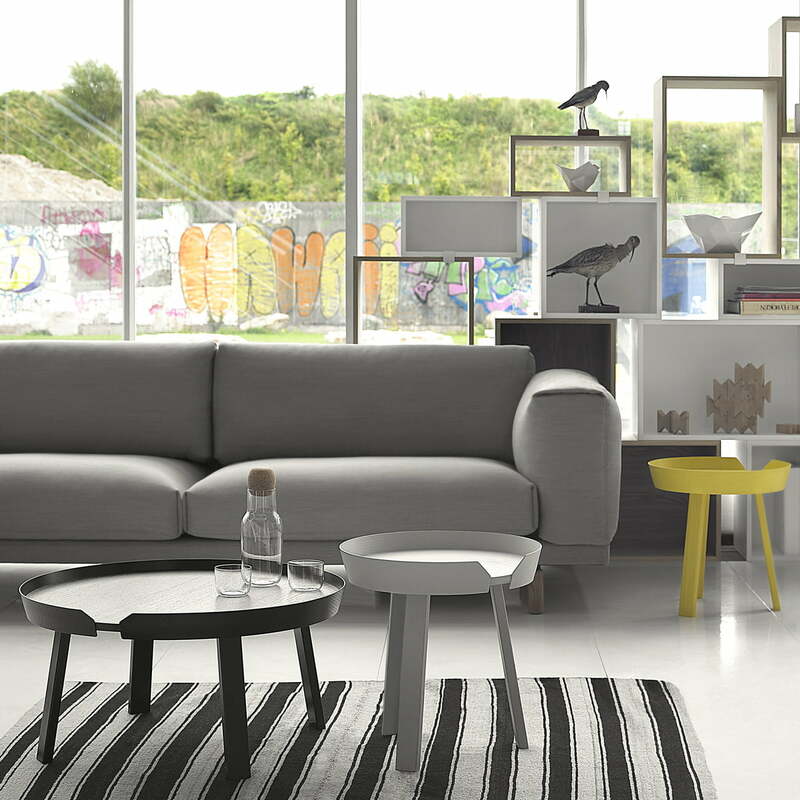 Living room design with around coffee table, Oslo sofa and the Pull light from Muuto. Both the chairs and the table are available in different colours such as red, white, black and oak. 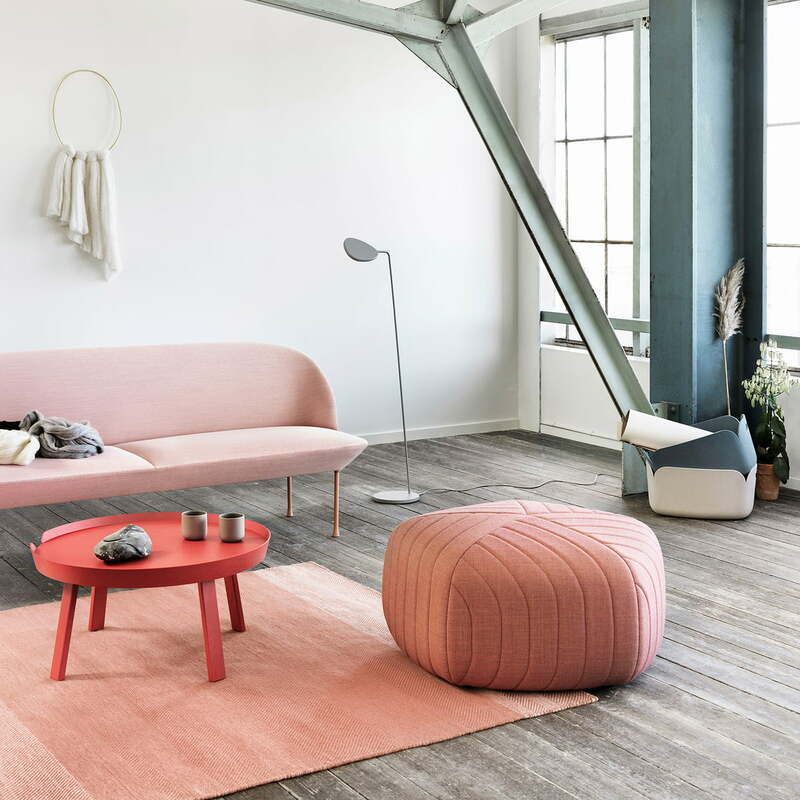 The Five pouf in tangerine (Remix 632) by Muuto makes excellent use as additional seating in the sofa corner and convinces with its unusual pattern as a decoration object.